1. 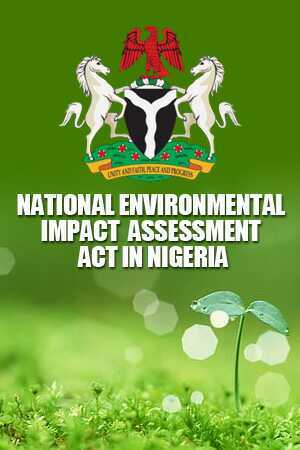 Implementation of the provisions of the Environmental Impact Assessment (EIA) Act of 1992 on development projects. 2. Ensure environmental sustainability of development projects through regulation of activities within the oil and gas, mining, infrastructure, agriculture, manufacturing sectors, etc. 4. Accreditation of environmental laboratories. 5. Implementation of Environmental Audit and Environmental Management System (EMS) in Nigeria.